Nobel chemistry winner Frances Arnold is celebrating her prize with her students and fellow faculty members at the California Institute of Technology. Arnold learned of her prize while traveling in Texas but flew back home Wednesday for a ceremony honoring her at the Pasadena, California, campus where she’s worked for three decades. The 62-year-old shared the Nobel for her work on the directed evolution of antibodies with Cambridge University scientist Greg Winter and George Smith of the University of Missouri. Arnold said she’ll donate some of the prize money to worthwhile institutions, possibly including Caltech. Nobel chemistry winner Frances Arnold says she expects to see an increasing number of female Nobel chemistry laureates in the coming years. “There are a lot of beautiful, elegant women in chemistry, and I predict we will see many more Nobel chemistry prizes for women,” said Arnold, 62, who is only the fifth woman ever to win the Nobel chemistry prize. “I managed to pull a couple of neurons together, and now I’m processing it,” she told The Associated Press. Arnold had planned to deliver a lecture Wednesday at the University of Texas Southwestern, but says she will now return to Pasadena, California, “to celebrate with my students” at the California Institute of Technology. Cambridge University scientist Greg Winter says he was staring at his computer wondering how he would ever finish multiple projects when the phone rang. In fact, he shared the 2018 Nobel Prize for chemistry for his work on the directed evolution of antibodies along with Frances Arnold of the California Institute of Technology and George Smith of the University of Missouri. Marasco said he uses it daily in his own research on developing therapies that use antibodies, which are disease-fighting proteins in the blood. The two prizewinners harnessed viruses called phages that infect bacteria. Smith, of the University of Missouri in Columbia, showed that inserting DNA into these viruses would make them display proteins linked to that DNA on their surfaces. Winter, of the MRC Laboratory of Molecular Biology in Cambridge, England, adapted the approach to create antibodies that target disease-related targets. In a process mimicking evolution, Winter introduced mutations to make antibodies progressively better at binding to their targets. Marasco said the technique lets scientists screen millions or even billions of antibodies for their ability to grab onto a target like a protein on the surface of a cancer cell. It makes such screening far faster and more efficient. 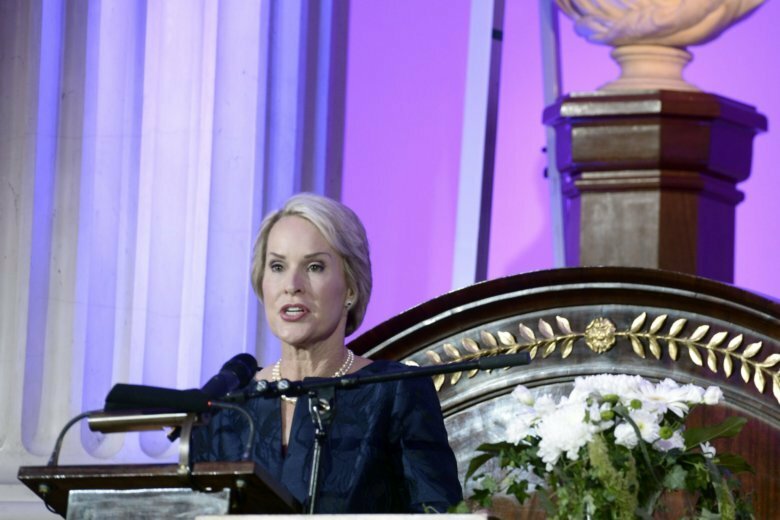 Frances Arnold of the California Institute of Technology shared the Nobel Prize in chemistry on Wednesday along with Smith and Winter. Greg Winter, a British scientist who shared the 2018 Nobel Prize for chemistry, says an encounter with a cancer patient made him realize the importance of his work. Speaking to reporters Wednesday, the 67-year-old Winter recalled a moment early in his career when he visited a woman who was receiving his then-experimental antibody treatment. Even though Winter didn’t know whether the treatment would work, the patient was grateful for whatever more time it would allow her to spend with her husband, who was also sick. The patient responded to the therapy but died when there wasn’t enough to continue her treatment. Scientists have been applauding the winners of the Nobel chemistry prize, saying that it highlights the practical role chemistry plays in our daily lives.